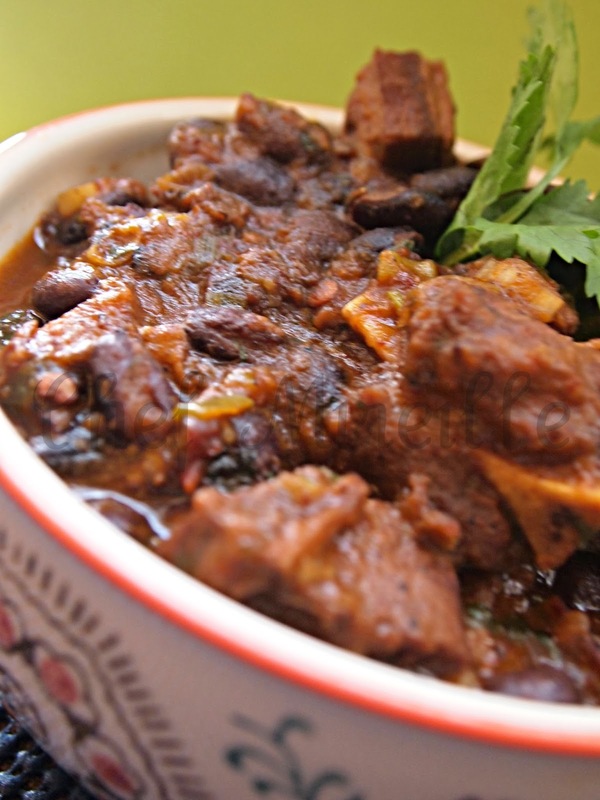 Mexican Goat Stew is comfort food Mexican style. 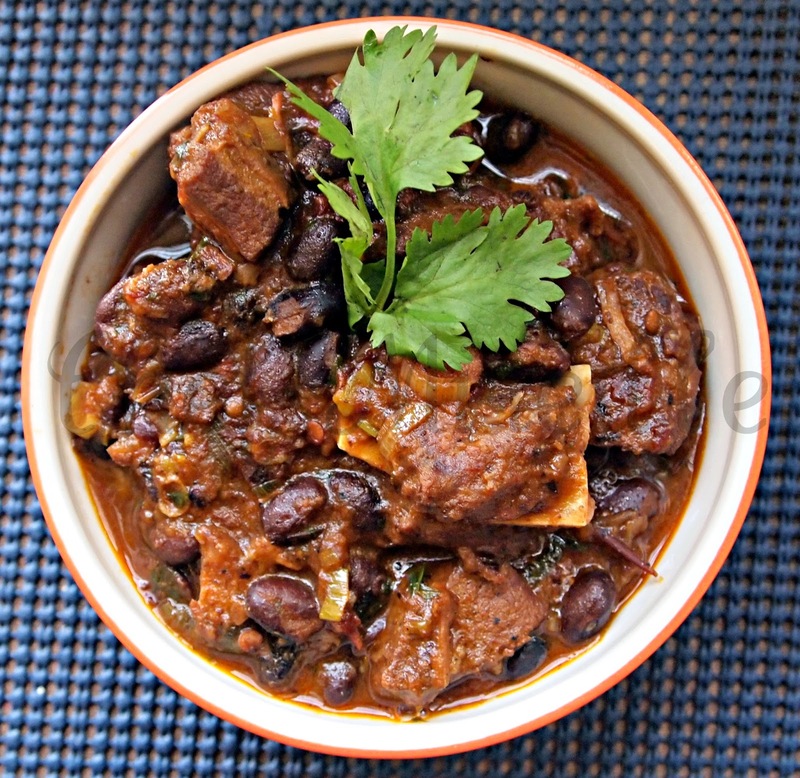 If you’ve never eaten goat meat, this is a delicious recipe to start. 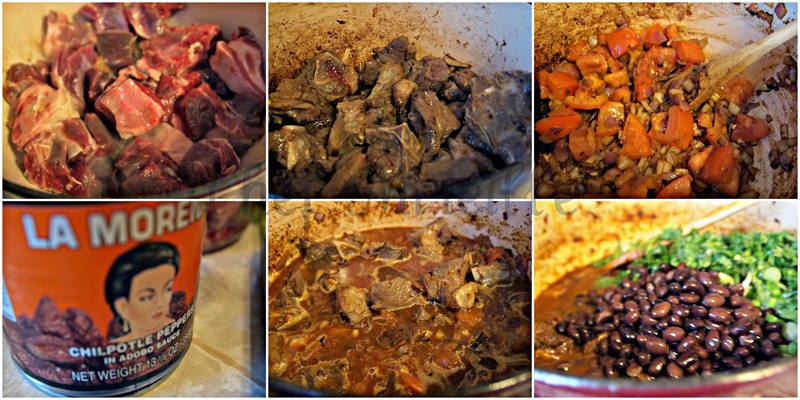 Curry Goat is a common food item in Caribbean households. Living in a neighborhood with a Caribbean population, goat meat is standard fare at my local supermarket. I usually make the standard curry but after bringing some home recently, I decided I wanted to do something different with the goat. I then remembered the best tacos I have ever had were these fabulous goat tacos at Rosa Mexicano, one of the best Mexican restaurants in NYC, known for its authentic Mexican cuisine. At Rosa Mexicano, they have a guacamole cart that they bring to your table and make your guac to order. It’s some of the freshest Mexican food you will ever find in New York. 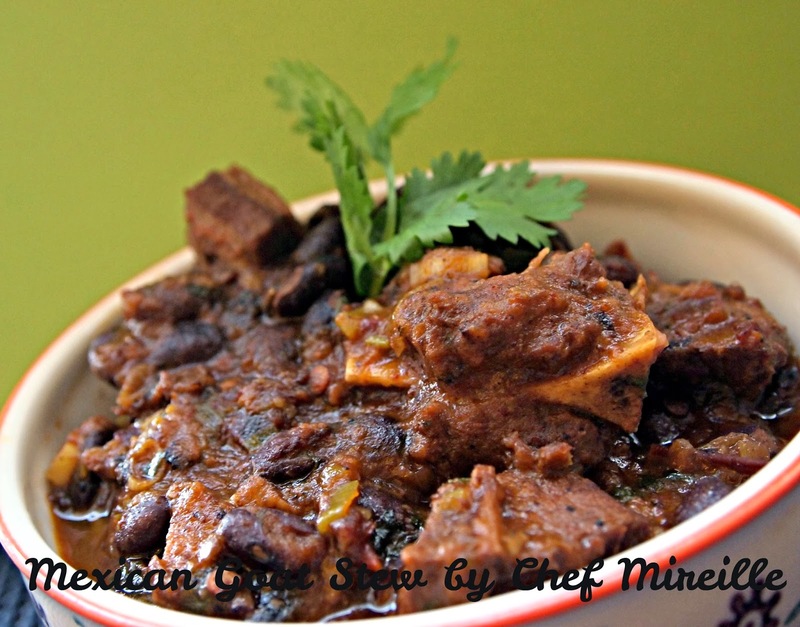 Inspired by the goat tacos I had there, I created this Mexican inspired goat stew. If you have never had goat before, this is a delicious recipe to introduce yourself to this flavorful meat. I made this on Christmas Day and it was loved by one and all. However, the leftovers the next day tasted even better, as the flavors had further time to develop. You can reduce the quantity of chipotles if you cannot tolerate it as spicy. Cut goat into bite size pieces. Add juice from the orange and garlic cloves. Stir to combine and marinate overnight. Heat oil. Add goat and cook for about 5-8 minutes on high heat until slightly browned, just so that a few of the pieces have some carmelization on it. Remove from pot. Add onions and tomatoes. Saute for 1-2 minutes until softened. Add chipotles and give it a stir. Add bay leaf, cloves, 2 cups of water, salt and black pepper. Add 1 tablespoon of the adobo sauce from the can. Stir and bring to a boil. Reduce to a simmer, cover and cook for 1 hour. Add 3/4 cup water and lime juice. Cook, partially covered for another 15 minutes. Add beans, scallions and cilantro. Stir and continue to cook for 15 minutes. Additional time is required to marinate he meat overnight. Depending on the age of the goat, cooking times may vary. Goat meat needs to be cooked long and slow until it is tender and falling off the bones. It can take up to 3 hours, adding more water as necessary the longer it cooks. This is a dish that is also great to cook in a slow cooker. This looks hearty and full of good flavor. I had a wonderful goat tagine several years ago in Seattle that I still remember fondly. 😉 Thanks for sharing with Souper Sundays this week.